The beautiful pebbled beach of Plaka is just a short distance from the village of Plaka, which is also the picturesque harbor of Leonidion. Small taverns and shops create the feeling of a picturesque island. Here, you will find the springs of St. Nicholas ending up in the sea, as well as a flock of ducks swimming among the fishing boats. The greenery from the edge of Mount Parnon blend harmoniously with the turqouise waters and meet the beautiful pebble beach. 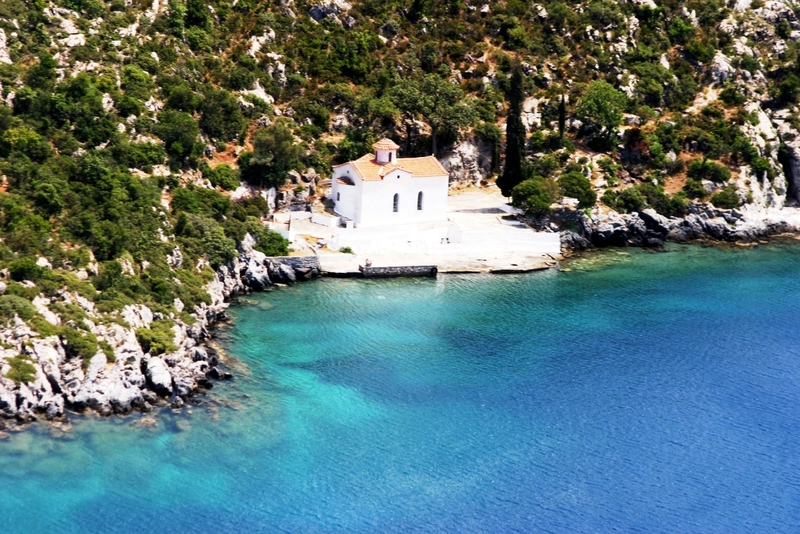 A small paradise on earth boasting a heavenly scenery complete with a quaint chapel right on the end of the beach. One of the most beautiful beaches in Greece, combining the blue of sea and sky with the green slopes of Mount Parnon reaching the shore.